The Media Facades Festival Europe 2010 is co-organised by iMAL and curated by Marie-Laure Delaby and Yves Bernard. iMAL contribute artists’ projects to the Joint Broadcasting Events and are responsible for the implementation of the programme in Brussels. iMAL is a non-profit association based in Brussels. Existing since 1999, the organisation has for objective to support artistic forms and creative practices using computer and network technologies as their medium. In 2007, iMAL opened its new venue in Brussels: a Centre for Digital Cultures and Technology, a new place of about 600m2 for the meeting of artistic, scientific and industrial innovations. A space entirely dedicated to contemporary artistic and cultural practices emerging from the fusion of computer, telecommunication, network and media. 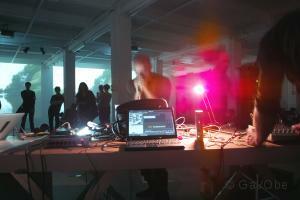 iMAL public events such as lectures, performances, concerts, exhibitions and festivals are designed to raise audience awareness in the creative usage and critical reviews of information technologies. Since 2001, IMAL produces professional workshops targeted to creative people (artists, designers, developers etc.) under the direction of recognised artists (e.g. Casey Reas, David Rokeby, Jasch, Julian Oliver). 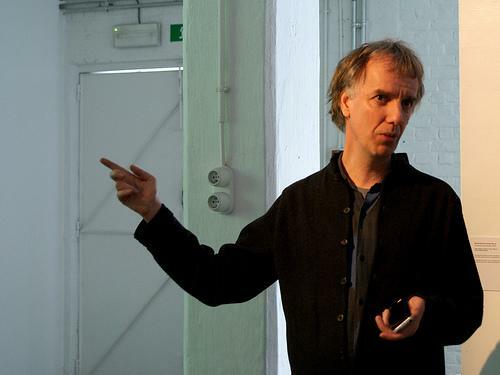 In 2008, iMAL started a research activity, as a partner in a French project, gathering university labs, innovative companies and art institutions. iMAL is a laboratory and a workplace for artists in residence, iMAL supports artists during their experimentation and research process as well as for the production and diffusion of their works. The organisation is involved in interdisciplinary projects where digital expressions augment in a meaningful way danse, theater and visual arts. Regular meetings are organised between creative professionals, innovative technological companies and research institutions. Marie-Laure Delaby is a visual and media artist graduated from the Transmedia department of Sint-Lukas, Brussels. She works within the sphere of hybrid media and around notions of reality/virtuality within urban environments. All these are reflected on the portfolio of the disconnectedmacha research projects and the disconnectedmacha´s blog. 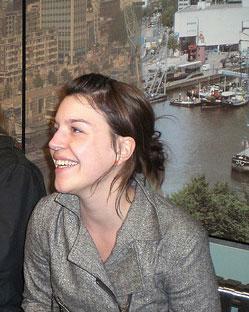 Interested in site-specific art projects, she started the threeplusone collective with other international artists. Together they invest temporary locations in search of in situ interferences. Since 2008, Marie-Laure is also working as coordinator and project manager at iMAL, Centre for digital cultures and technology where she organizes a.o. the Dorkbot BRU and SHARE BRU (A/V jams) sessions and the Code, Arts and Crafts! workshops.